THE jewel in QPR’s crown, the CClub combines all the prestige of a private members club with the excitement and passion that only football can deliver. Whether for business or pleasure, the CClub Restaurant is perfect for those seeking the ultimate exclusive QPR VIP matchday experience. 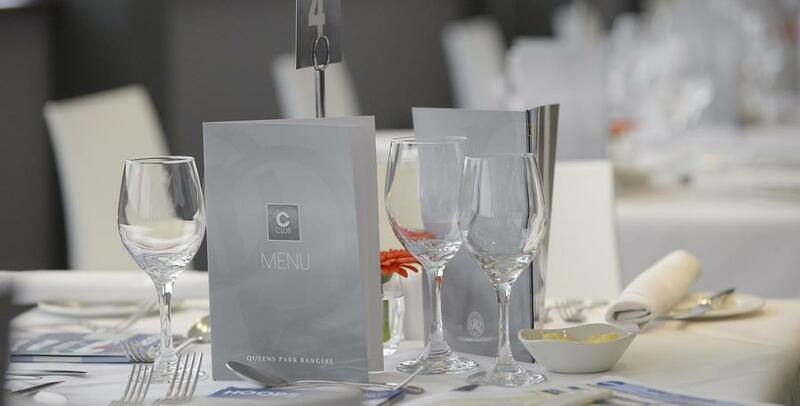 With the best seats in the stadium, a personalised service and the finest cuisine served by our head chef, you will find the CClub offers a first-class experience that the QPR owners and Directors have become accustomed to. Spacious, personalised padded seats in the best area of the stadium. * price is per person, exclusive of VAT and strictly subject to availability. Adult membership must be purchased in multiples of two.